In September, I visited the Ford Headquarters in Dearborn, Michigan to attend the 2016 Further with Ford conference. Since I had to send a writer in my place last year, I was excited to be able to attend in person this time around. We learned about what the brand is doing to stay on its toes in the changing automotive landscape. 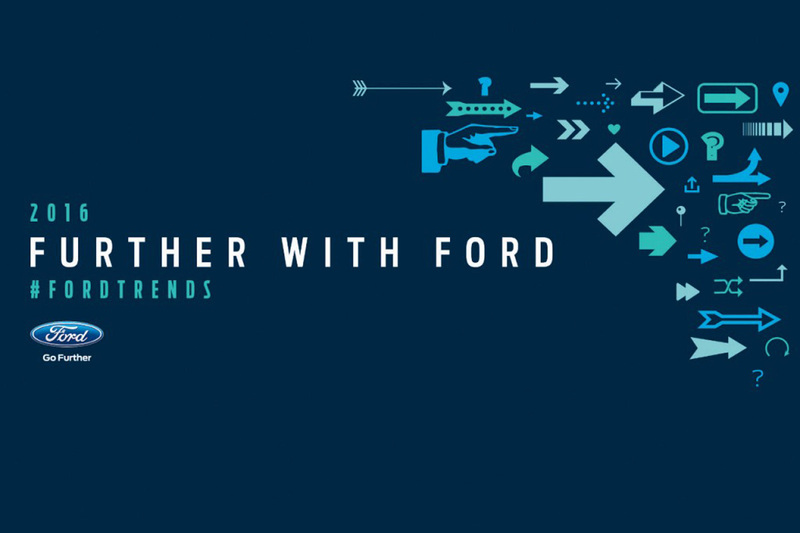 Here’s a look at the latest news and trends happening at Ford Motor Company. 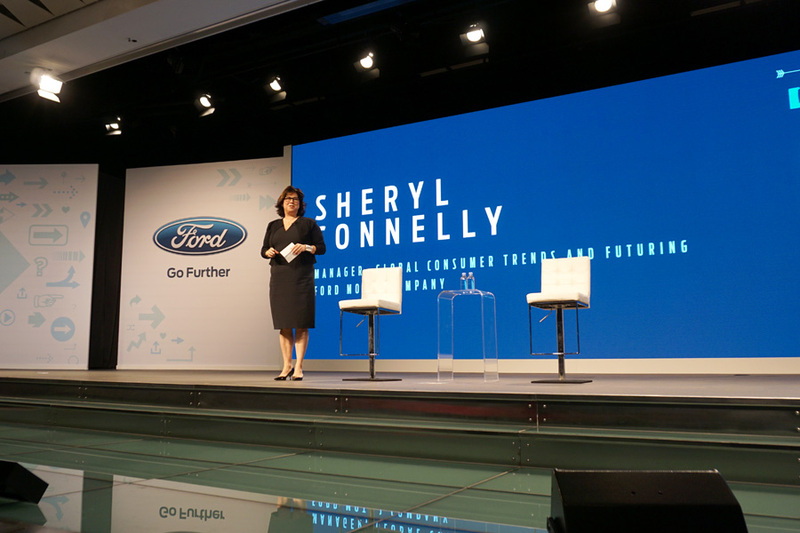 Sheryl Connelly, Global Consumer Trends and Futuring Manager at Ford, kicked off the day. She helped us to see how important it is to continually ask, “Why?” Some may reason that if things are going well, why change them? But, that is not the thinking behind this 113-year-old company. I really enjoyed the session by Dan Ariely. He was a great speaker and pointed out some sobering facts about the struggle of self-control, the increase of decisions that lead to early mortality, reward substitution, and creating better environments for us to react to. By examining how we think, we can better respond to various circumstances and make decisions. This applies to distracted driving and texting while driving. In principle, you all know it’s a stupid thing to do. It’s not as if I can add any more piece of information and you say, “Oh, I had no idea. Now that I know it’s a stupid thing to do, let me just stop.” No, we know it’s a stupid thing to do, we start driving thinking we’re not going to text and drive, but then what happens? Our phone vibrates. The moment the phone vibrates, we become slightly different people who think differently about the consequences and outcomes. We think more about our curiosity about what it is exactly that is coming from our phone right now, and we act in very undesirable ways. — Dan Ariely, James B. Duke Professor of Psychology and Behavioral Economics. 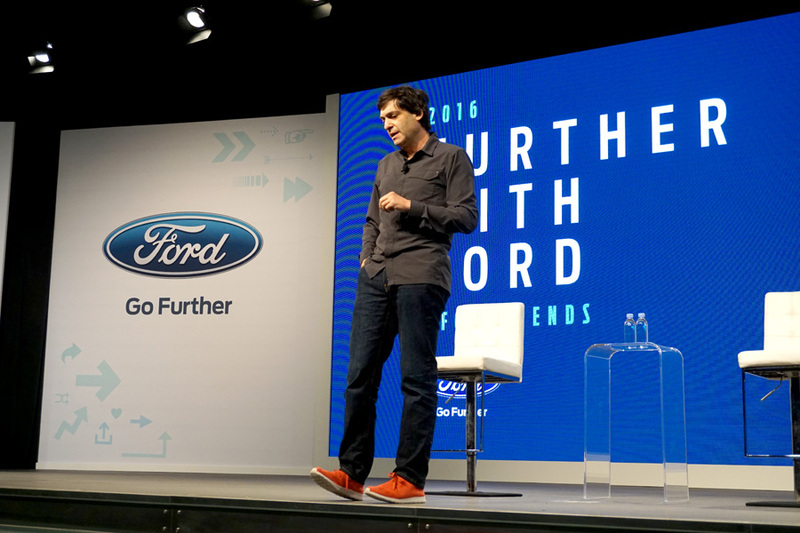 2016 Further with Ford — Why Mobility? Why Now? 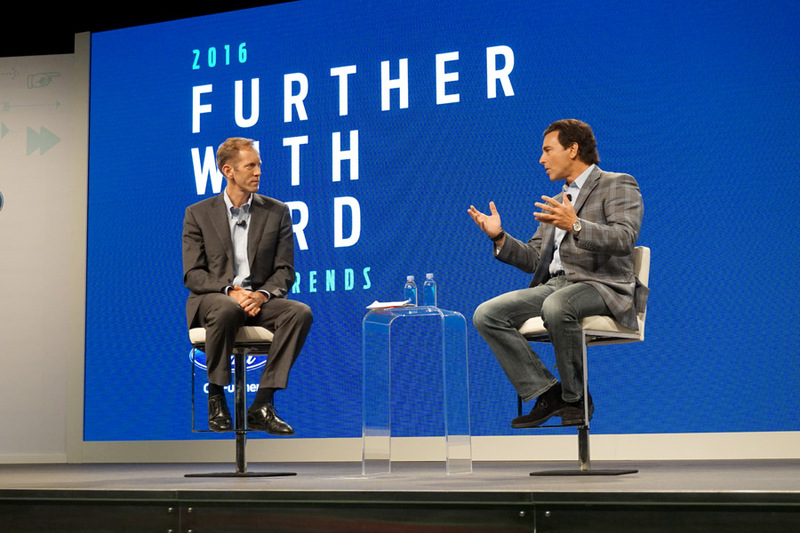 Mark Fields came on the stage to give some background on Ford’s decision to focus on mobility. The company realizes that the way people commute has changed. The world has moved from just owning vehicles to owning them and sharing them. This is causing us to think very differently as a company. In fact, his is what’s driving us to rethink our entire business model. Because, as these numbers show, it’s no longer just about how many vehicles we can sell, it’s also about what services that we can provide. — Mark Fields, President and CEO of Ford. Starting in San Francisco, Ford is teaming up with major cities globally help congestion and help people move around easier. A local shuttle service has been acquired so to provide affordable and convenient transportation. This service will operate in at least five other markets in the next 18 months. 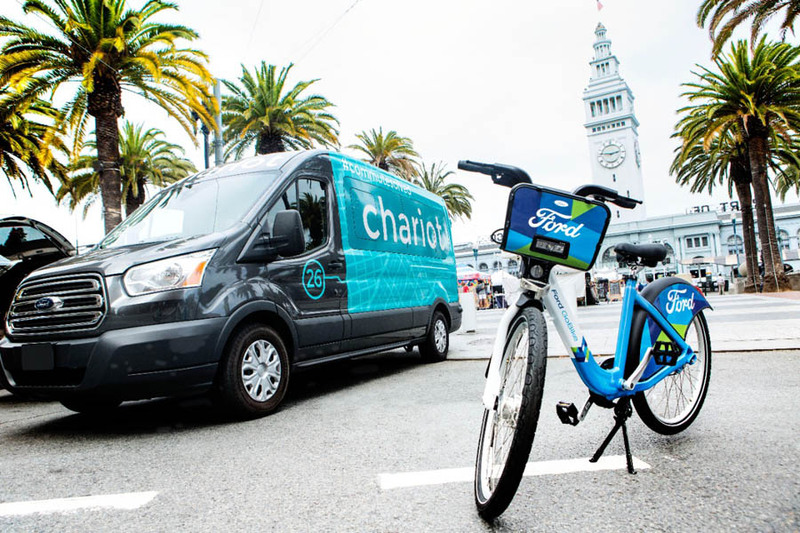 The brand is also adding more options to get around the city using the new Ford GoBike bike sharing. I see these bike racks often throughout the city. It’s definitely a better way to beat downtown traffic on the streets as well as around tourist spots! Ford has not been shy about its shift to add more autonomous vehicles. In fact, it plans to have fully autonomous vehicles for ride-hailing or ride-sharing by 2021. With no driver needed, Ford hopes to make these available and affordable for millions of people. More research needs to be done, especially in regards to establishing rules of the road versus intuition. So, the Silicon Valley operations will expand as Ford collaborates with several startups in the area. At this time, we had only finished half of the main day of 2016 Further with Ford conference. Tons more information was still to come. Check out what happened during Part 2 of this series. I was invited on an all-expense paid media event to attend this conference. All opinions are my own.